You may have seen this news floating around, but the Disney community just got a fun announcement! The highly anticipated Toy Story Land at Disney’s Hollywood Studios will officially open on June 30, 2018! When it opens, guests visiting Toy Story Land will “shrink” to the size of a toy and join in on the fun Woody, Jessie, Buzz, and Andy’s other beloved toys are having in Andy’s backyard. Since it was announced at the 2015 D23 Expo, a lot has been said about the attractions we can expect to find in Toy Story Land. Slinky Dog Dash, a family roller coaster, has probably gotten the most attention – especially once you could start to see it from the Tower of Terror. Alien Swirling Saucers is rumored to be a bit like Mater’s Junkyard Jamboree, in Disney California Adventure’s Cars Land. Most recently, Woody’s Lunchbox was revealed as a new quick service restaurant that will be featured in the land. On the flip side of all the hype, I have heard a few people dismissing Toy Story Land as a place solely for families with young kids. I definitely understand the sentiment, given the attractions. 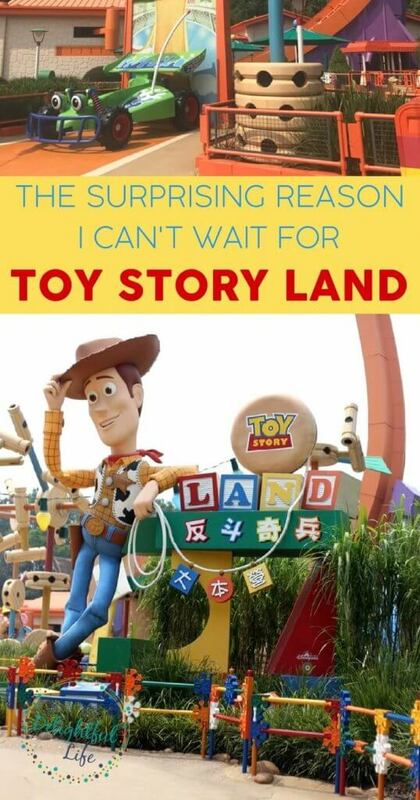 I wouldn’t be surprised if many adults hit Toy Story Mania and otherwise glance at the land, before moving on – especially once Galaxy’s Edge opens in 2019. Those people will be missing out. Especially people my age (technically not quite mid-30s…), who grew up with the Toy Story franchise. 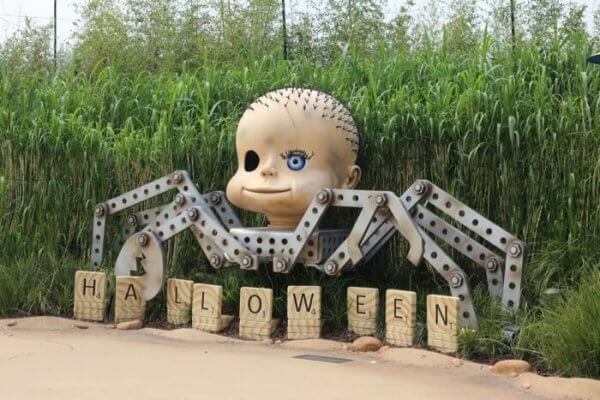 Hong Kong Disneyland takes Halloween very seriously. I can’t decide if I want this little guy to make an appearance in Florida, or not! When we were in Hong Kong Disneyland, we spent quite a bit of time in their Toy Story Land. The attractions there were perhaps even more “off the shelf” (commonplace) than we’ll see in Florida, and the land was super close to my favorite Disney attraction in the entire world, Mystic Manor. And still, I truly couldn’t just rush through anytime I found myself there. Why? Not surprisingly, even the choice of plants in Toy Story Land made you feel the size of a toy! Don’t get me wrong. This isn’t Pandora, or Galaxy’s Edge. It will probably feel like you’re in a land in a theme park, and not necessarily that you’ve been transported to another planet (or galaxy) entirely. Toy Story Land probably won’t be shockingly realistic like Pandora or Radiator Springs. But you guys, it’s going to be dripping with nostalgia. For guests that are young enough not to care about the nostalgic factors, it’s going to be brightly colored and filled with kid-friendly attractions and their favorite characters. 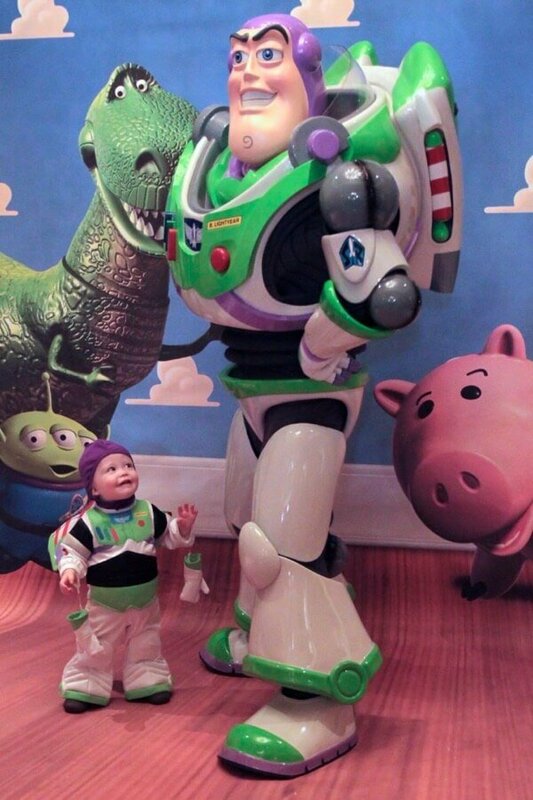 Little Buzz Lightyear meets his hero…. one of my favorite moments ever. But for the rest of us who did have to stifle squeals the first time we walked through the Toy Story Mania queue – and truly, that encompasses not just my generation but my parents’ as well, with some of the toys featured – this is going to be a different sort of magic. When Walt Disney created Disneyland’s Fantasyland – still one of the most wonderful places for fans of the Disney classics – he wanted to bring to life what people loved from the screen. When we look at Fantasyland today, the dark rides and other theming don’t feel super cutting edge or uber immersive… yet we love them. Of course such a place evokes a different sort of “magic” than bioluminescent plants and nearly unparalleled attraction technology, but I dare you to say it’s not magical. 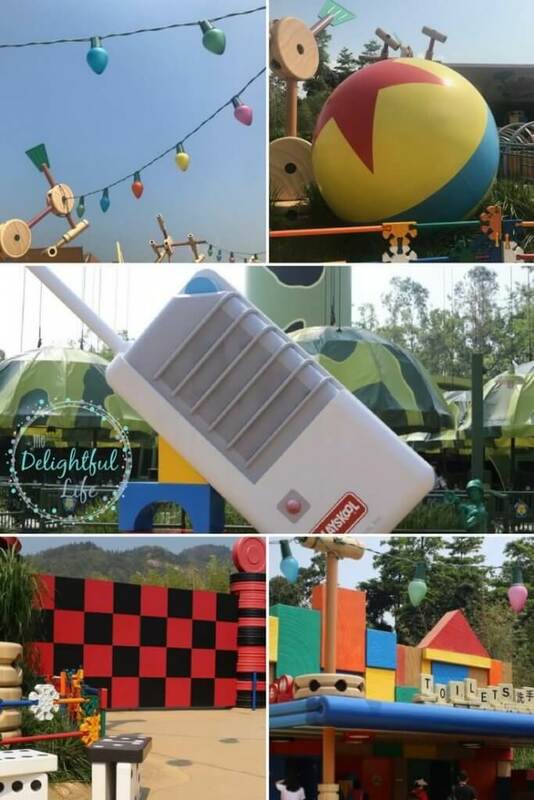 Walking through Toy Story Land in Hong Kong, there were some toys that were truly beloved in my childhood; there were also plenty that are basically the stuff of myth to most of us my age or younger. Still, between the clever use of larger-than-life toys and the incomparable Randy Newman soundtrack, I felt like a kid. We loved the theming of Toy Story Land in Hong Kong Disneyland, and can’t imagine how great it’s going to look in Walt Disney World! It’s not as if they’re going to leave out charming, easy-to-miss details, either. While we won’t have the RC Racer attraction that can be seen in Hong Kong, Paris, and (later this summer) Shanghai, I couldn’t help but share this little gem. We sat and watched RC Racer run a handful of times before we noticed the on off-switch that was perfectly timed to the attraction as it came to a stop. And you guys? This thing is gigantic. 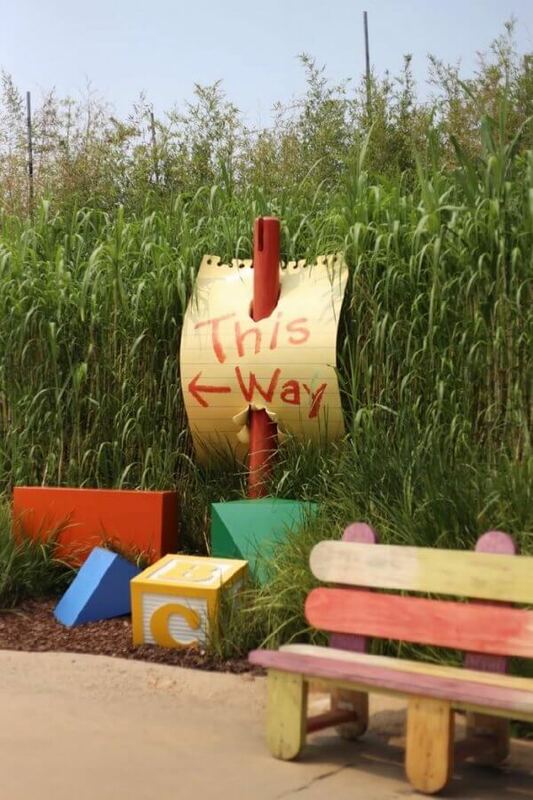 It’s one of many examples of Disney imagineers hiding things in plain sight… and the biggest reason I trust Toy Story Land is going to be a fun adventure for everyone. Previous Post: « Who should see Marvel’s latest movie, Black Panther? Almost everyone.